This course is a general introduction to the world of sculpting, sculptures and three-dimensional shapes. This course is a general introduction to the world of sculpting, sculptures and three-dimensional shapes. 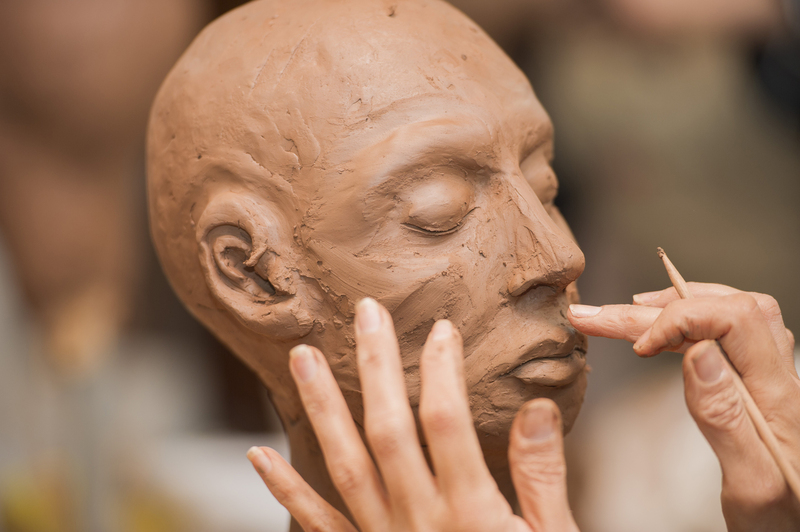 Participants will gain an understanding of the foundations of sculpture, different moulds, different materials such as clay and gypsum, processing by hand and the relationship between mass and space. Additionally, participants will work on a range of flat sculptural works such as the medallion and mural and three-dimensional works such as the human skull and head. They will also learn the casting of single and multi-piece gypsum blocks, ways to remove gypsum pieces from moulds and the basic principles of anatomical art.